Yorkies, or Yorkshire Terriers, are a fun breed of dog to have around. They are small, energetic, and always seem to have a smile on their face (can a dog have a smile in its face?). When it comes to feeding your Yorkie, there are two important things to consider: the breed of your dog (Yorkie) and their size (small), but what else should you be thinking about when you are looking for the best dog food for Yorkies? Yorkies are small dogs and do not need a lot of food each day. They have small mouths and small stomachs. When you are looking for food for your dog, you need to keep this in mind. 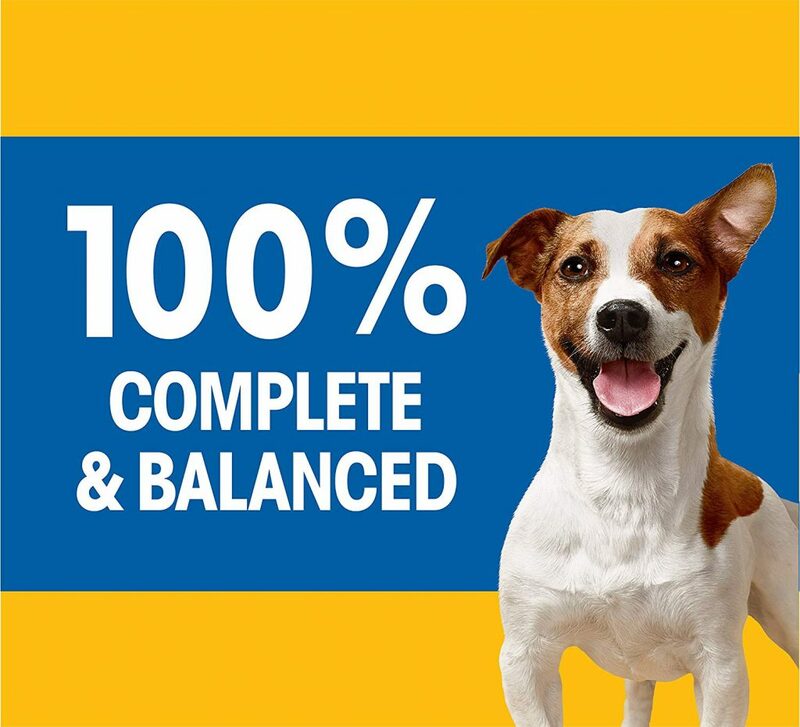 You cannot just buy any dog food. 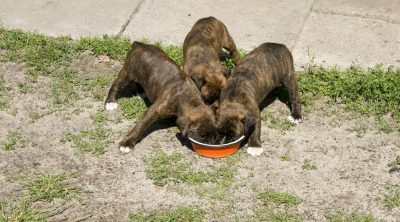 If you buy dog food for a larger breed then they are going to have trouble eating and digesting it. Small dogs need smaller portions and sizes of kibble. You may know this already or you may not. Either way, we can all agree on it. So, what else do you need to think about when you are looking for Yorkie dog food? Protein is essential for every breed of dog, and that includes Yorkies. It is from protein that dogs get a lot of their energy and muscle mass. 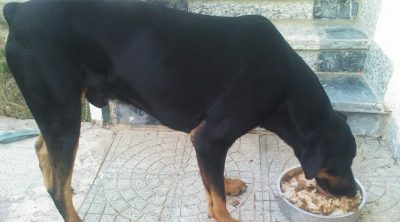 When you are looking at dog food, you want protein which is made up primarily of meat; dogs are carnivores after all. You want to look for meat which is as natural as possible and has not been processed. When you are looking at a bag of dog food, the primary ingredient should be a meat protein. If it is not, then leave the bag on the shelf. Meat or meat meal is what you want your dog food to be primarily made from. Healthy fats are great for your Yorkie. Fats will promote healthy joints, heart, eyes, skin, and coat. Your dog will likely get a lot of fat from the animal proteins in the dog food, but you should look for other added fats. Fish and seed oil will be easy to digest and can be a good source of Omega 3 & 6. Carbohydrates round off the three main things you need to look for in a great bag of dog food for your Yorkie. 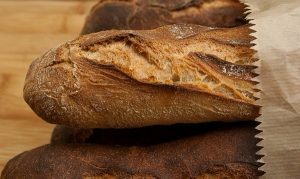 Carbs are essential, but there are some to look out for. Yorkies have a hard time digesting corn and soy. 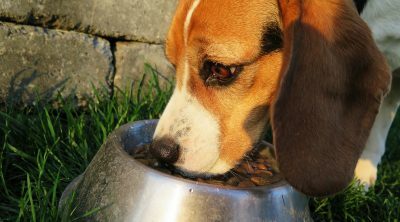 If the bag of dog food contains either, then it may not agree with your pet’s stomach. Great alternatives to corn and soy are sweet potatoes, peas, and brown rice. They are a lot easier for your Yorkie to digest while still supplying the needed carbohydrates, and some fiber too. When it comes to Yorkies, should you feed them wet food or dry food? 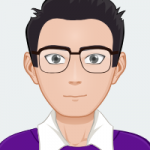 When you are choosing between the two types of food, Yorkies can handle both types, but we would recommend a diet primarily consisting of dry food. The main reason or this is dental health. Yorkies are a breed which often has problems with their teeth. Dry kibble will aid in dental health for your Yorkie. As they eat the dry kibble, it helps to clean their teeth of tartar and plaque. As we discussed before, Yorkies need small food for their small mouths, so you should be looking for dry and small kibble. If you want to add wet food to their diet, then you can mix the wet with some dry to maintain the dental health. So, what food do we recommend? This bag of dry dog food is specially formulated for Yorkies between the age of 1-6 years old and under 25 pounds. You need a food for your Yorkie which is easy to eat, and this food is just that. Hill’s Science has created a dog food with a small kibble which will be easy to chew in the small mouth of a Yorkie. The food has also been designed to be easily digested, great for dogs with smaller stomachs. Your dog will love the taste and feel of it. 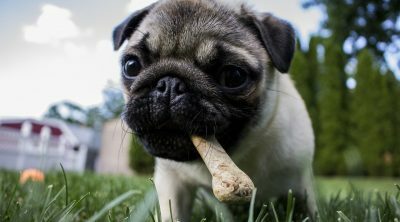 Small breeds of dogs benefit from foods which help to boost their immune system. This bag of dog food has been clinically proven to help with the immune system of your Yorkie, containing lots of antioxidants, vitamins, and minerals. 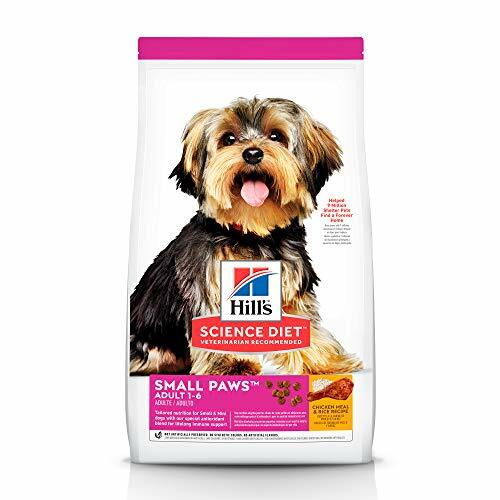 Hill’s Science has been crafting dog food for small breeds for almost 80 years. They have a real focus on the science behind their food and are also one of the number one recommended dog foods by veterinarians. A great food for your adult Yorkie as they grow and develop towards maturity. A lot of dogs have trouble with their weight, and most of this is down to us as owners. Dogs do not have the luxury of going out and hunting down their own food, burning off the calories gained as they do so. Smaller breeds are especially susceptible to weight gain and have a hard time shedding the weight once it is gained. The recommendation for an overweight dog is healthy food and exercise. This dry dog food is perfect. This dry food blend has been created to maintain a healthy weight or get your dog down to a healthy weight. The protein-rich food, packed with antioxidants will leave your dog feeling healthy and energetic. The other great thing about this dog food is how effective it is in promoting dental health. The kibble in this dog food will scrub your dog’s teeth as they are chewing on it, removing plaque and tartar. This dog food has been clinically proven to remove stains from your dog’s teeth and give them fresher breath. If your Yorkie is struggling with weight, dirty teeth, or bad breath, then this dog food will help. 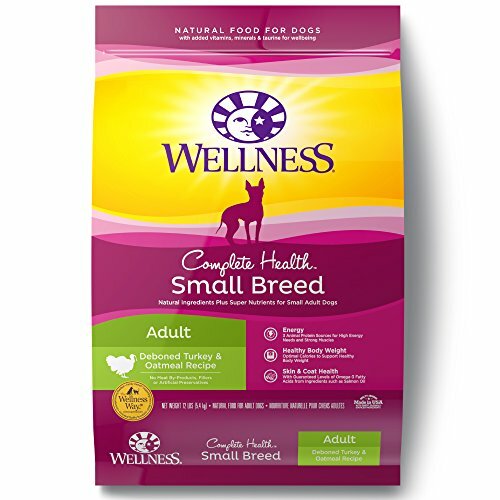 This Wellness dog food has been created especially for small breeds of dog, perfect for your Yorkie. The smaller kibble makes it easy for smaller dogs to chew and then digest. The kibble also helps to deliver the exact calorie intake which your small dog needs. Packed with antioxidants, fruits, veggies, vitamins, and minerals, this dog food will keep your Yorkie in optimum condition. 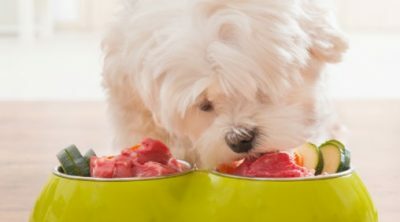 A focus has been on ensuring that each small portion of food has enough calories and nutrition for your dog while being easy to digest and absorb. This food will also help to promote the digestive health of your dog. The addition of flaxseed oil, salmon oil, omega 3, and omega 6 means that your dog will have healthy bones, strong joints, supple skin, and a luxurious coat — a great dog food for healthy Yorkies. This dog food, for small breeds, is packed with protein. One of the main ingredients is roasted chicken for a protein-rich meal which they will love the taste of. One of the things which this company is proud of is the lack of artificial flavors in their food. The taste comes from the real food packed into this bag. This high-quality dog food is made in the USA. It is packed with antioxidants, vitamins, and minerals to promote a healthy lifestyle in your pet, promoting healthy digestion and dental health. This bag of dry food for your Yorkie is filled with good fatty acids to aid in developing healthy skin and a shiny and healthy coat. Your Yorkie will love the taste and the way they feel after eating it. This dog food has been specially designed for Yorkies. The kibbles are small, perfect for the small mouth of your Yorkie. The kibble is also hard enough to promote healthy teeth while not being so hard that it is hard to eat. 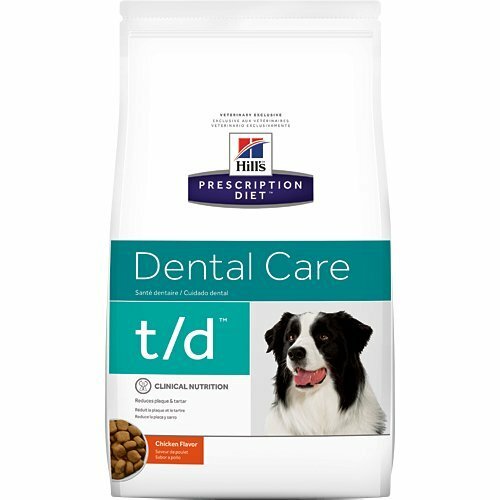 The 3D DentaDefense system (the way that the kibble is shaped) has been proven to reduce the amount of tartar in your dog’s mouth in only 28 days. Say goodbye to stained teeth and bad breath. The number one ingredient in this dog food is chicken. Your Yorkie needs a dry dog food which has meat protein as its number one ingredient, and you get that from this bag. There is also natural beet pulp and prebiotic FOS in the food to promote the absorption of nutrients and healthy digestion. We like how good a Yorkie’s skin and coat look after eating this food for a month or two. The zinc, copper, and omega fatty acids all contribute to healthy skin and a flowing, luxurious coat. 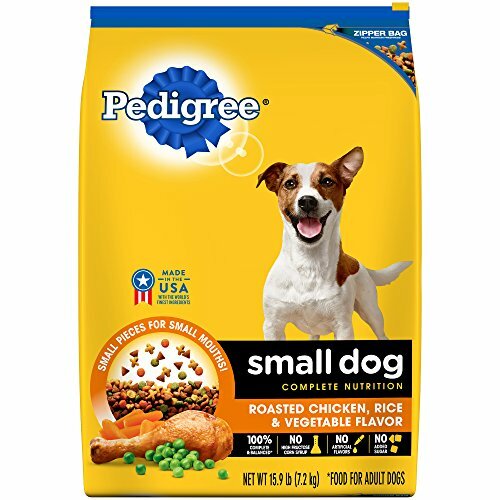 This is a great dog food for an adult Yorkie, or another adult small breed, which will help them to maintain a healthy weight and optimum health. 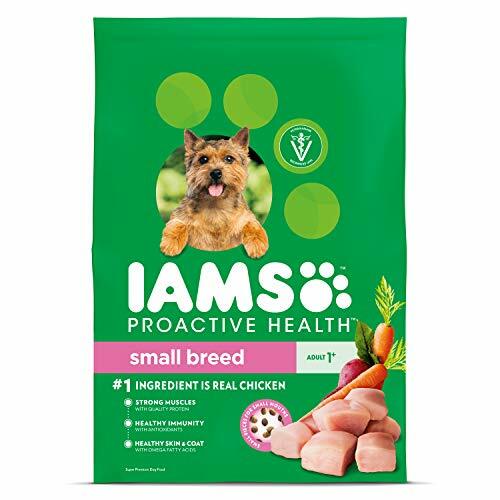 Iams has a reputation for creating great pet food, and this dry food designed for small dogs is no exception. We like that chicken is the number one ingredient. That meat protein is important for your healthy adult Yorkie to maintain their health and have enough energy each day. There is no soy or wheat in this bag of food, and no artificial flavors or preservatives either. This bag of food comes recommended by veterinarians. The food has been tailored for small dogs. It is made with real ingredients and no filler. You cannot go wrong with this dry dog food. This dog food is easily digestible by Yorkies. It is also small in size so your Yorkie will have no problem eating or digesting it. Once they have been eating this food for a while, you may notice that they have better dental health, a stronger immune system, stronger bones, and a shinier and more vibrant coat. 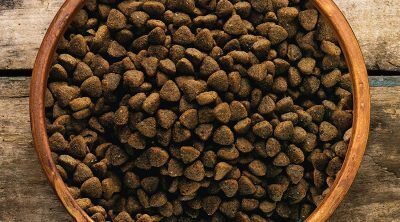 This is a dry dog food which is packed with real chicken, wholesome grains, and lots of healthy vegetables. When we were looking at dog foods for Yorkies, there were some things which were important to us. We wanted kibble which was small enough to be chewed by Yorkies, and easy enough to be digested. We wanted a protein-rich food with a good blend of carbs and fats too. We wanted something which would have the most impact on the health and wellbeing of your Yorkie. 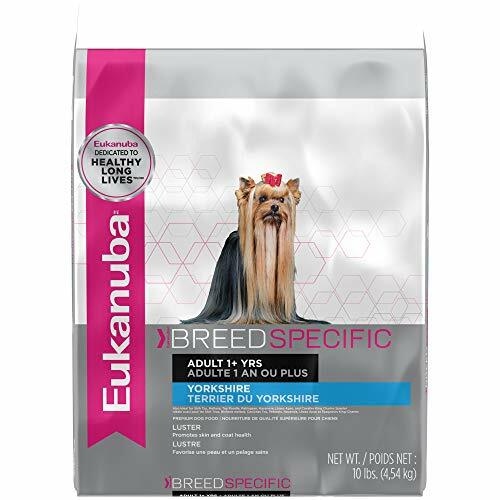 With all of this in mind, we had no choice but to recommend the Eukanuba Breed Specific Adult Dry Dog Food. This dog food has been specially crafted for Yorkies, not just for small breeds of dog. The number one ingredient in this food is chicken. It has real food and food which will make a positive impact on your dog. We also found that it had zinc and copper, along with the fatty acids, to promote healthy skin and a beautiful coat. For us, that was one step above and beyond the other foods on our list. Overall, this dog food is easy to digest, has a positive impact on dental health, promotes strong bones, muscles and joints, and will leave your dog with a shiny and luxurious coat.